Last week I went and did a Collections Christmas class at Scraptacular. I had a great time and just love my frame. 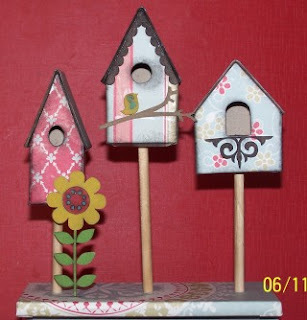 The class got me in the groove ...lol so I finally decorated and put together my ScrapWare Birdhouses.....loved doing this too.